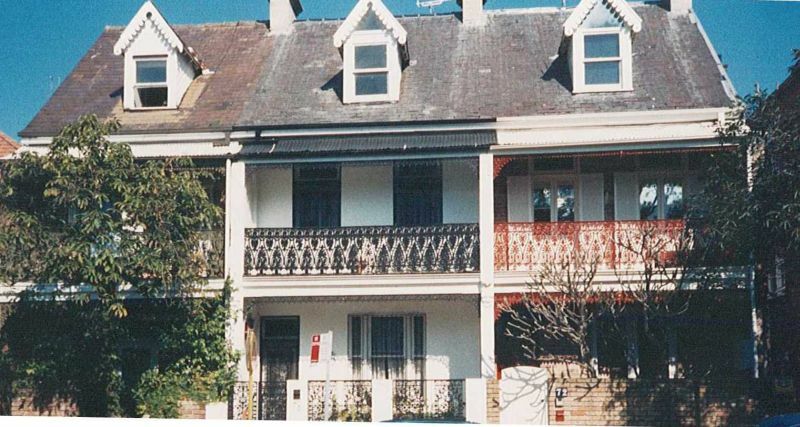 On 29 May 1916, Minnie Robinson, Leo Whitby Robinson's wife of less than 8 months, died suddenly at their home at 72 Cross Street, Double Bay. 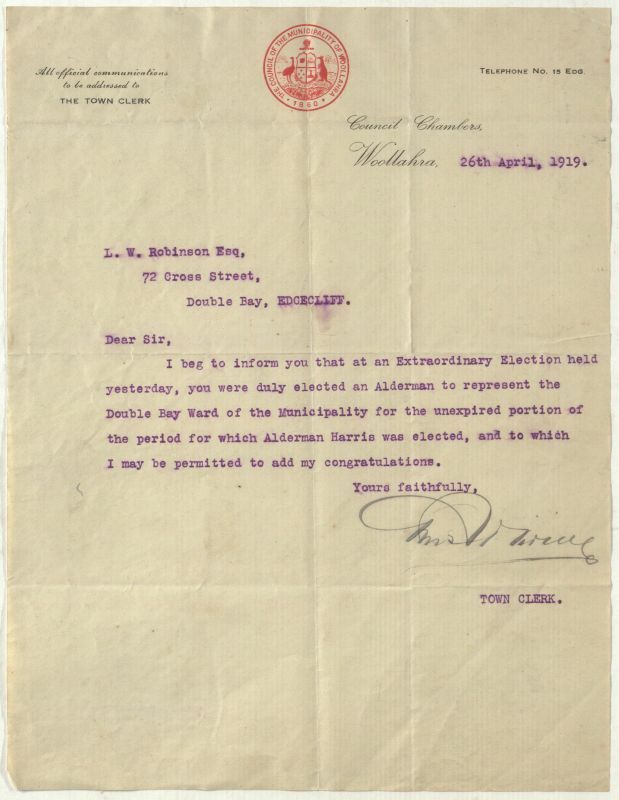 In September Leo Whitby, a solicitor, resigned his position as mayor of Woollahra and enlisted for active service. He was assigned to the 7 Field Artillery Brigade (later transferred to the 10 Field Artillery Brigade) as a gunner. 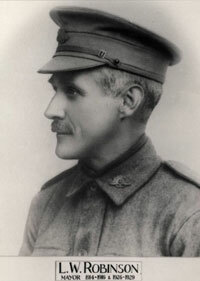 Leo Whitby embarked for England in December 1916, aged 37. In June 1917 Leo Whitby was sent to France and on 14 October 1917 he was seriously wounded in action in Belgium at Chateau Wood, near Ypres. A shell explosion killed two of his comrades and caused multiple injuries to Leo's right foot, thigh and arm; the severity of the wound to his forearm forcing its amputation. 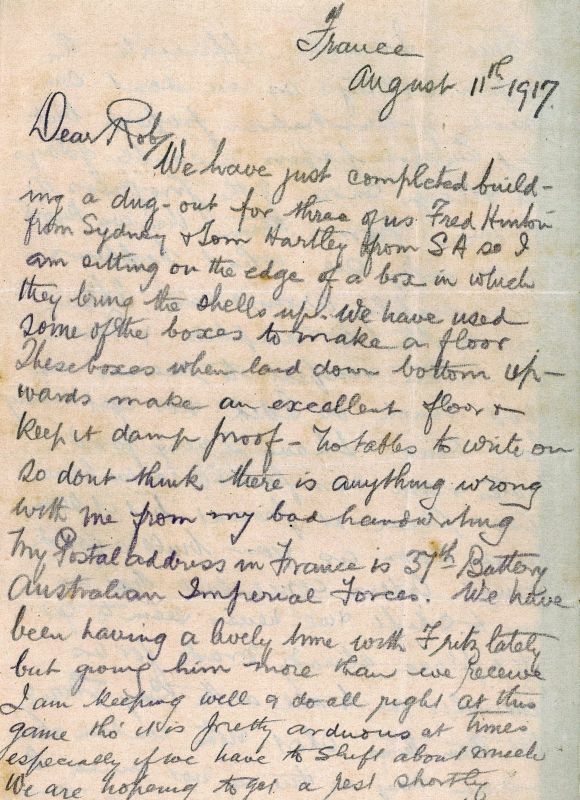 We went into our dugout on our way down to the gun & just outside a shell burst over us. Dingle and another man got killed & I got wounded. I got to the [ ] pit and the boys there took me to the dressing station 100 yds away where they put a tourniquet on my arm & I was sent on by motor ambulance & ultimately got to the American Field Hospital at Poperinghe past Ypres. They put me under chloroform and when I came to they said they had to amputate my right arm just above the elbow, my arm was badly hit. 4 stretcher bearers had to carry me half a mile over Westhoek Ridge to where the Motor Ambulance could get up. I was lucky there was no infantry push on as I did not have to wait more than half an hour. I have seen that spot with men on stretchers all waiting for the motors just laid out in rows on the roadside. One night I was coming past there in a ration cart & as shells were falling I got down & asked if any of them were well enough to stand the trip in the ration cart (which is worse than a dray) one chap took it on. I sat in the bottom of the cart and he sat in my lap. We drove him to Ypres about 2 miles. I little thought then I would be doing the same trip. They did not waste much time with me at Pop. I suppose I had to lose the arm but they don't ask your opinion in the military & I did not care much at the time. I will have to go to another hospital near London where [they] fit you with a wooden arm. 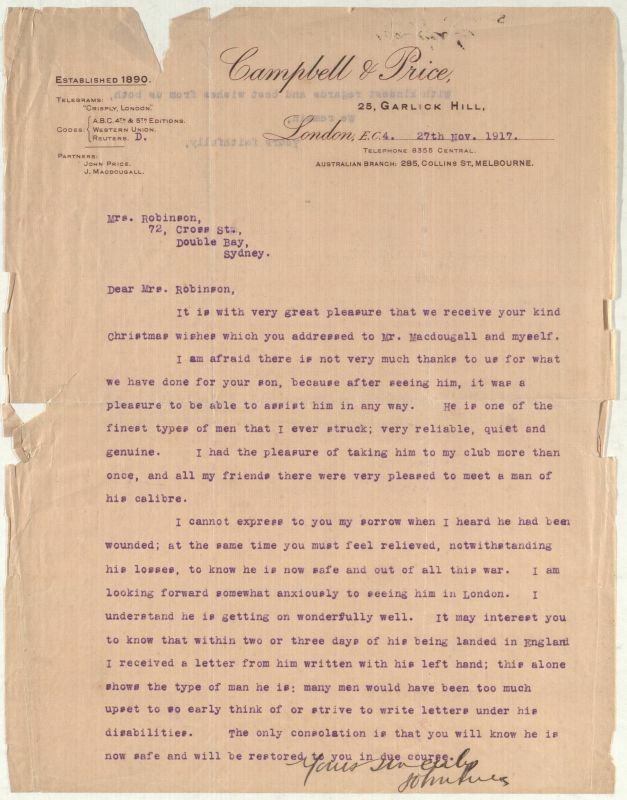 It may interest you to know that within two or three days of his being landed in England I received a letter from him written with his left hand; this alone shows the type of man he is: many men would have been too much upset to so early think of or strive to write letters under his disabilities. If only I were home with you in dear old Aus I would be well in no time but I am well on the mend now & you need not worry about me. It is very sad here to see young fellows well in health and mind who will have some affliction till the end of their days and I think blindness the worst of them. There are so many that are mentally affected. I think more than ever how lucky I am to be alive and altho' I will feel the loss of an arm I am not crippled. 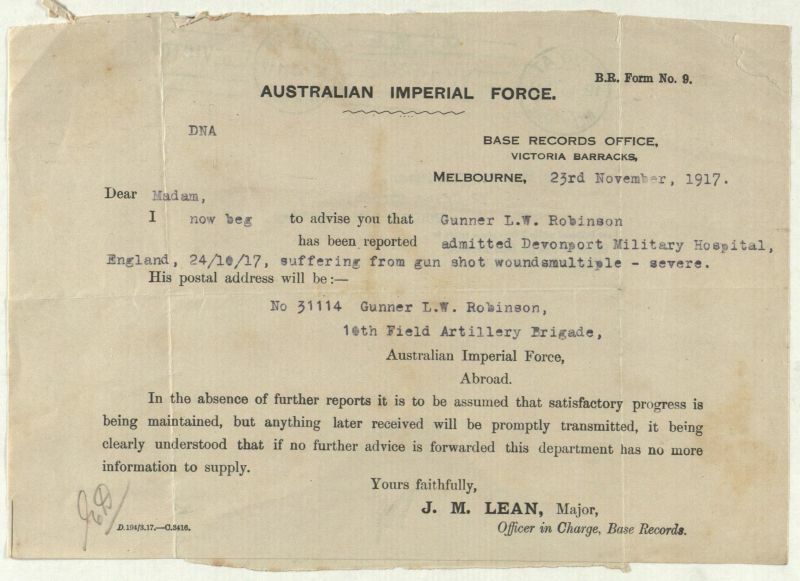 In April 1918, Leo Whitby was given permission to return to Australia for discharge at his own expense. He made his return trip via America where he visited his brother and undertook a number of speaking engagements about the Commonwealth. 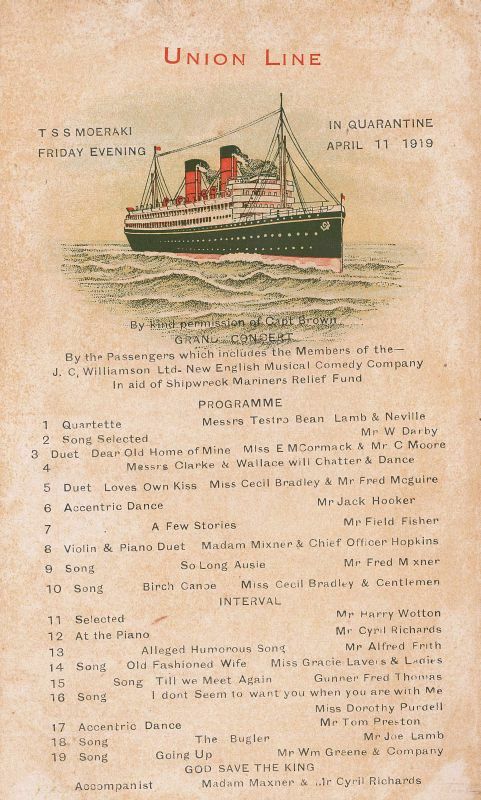 He sailed for home on the S.S. Moeraki arriving in Sydney on 11 April 1919. 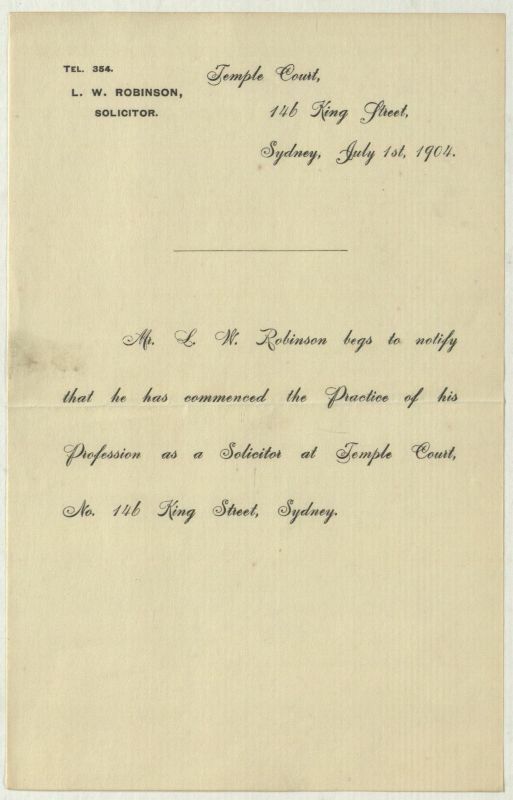 Leo Whitby returned to his home at 72 Cross Street and was immediately re-elected as an alderman of Woollahra Council when in April 1919, to make way for Leo's return, Alderman Reginald Harris resigned his seat. Leo resumed his legal practice and in 1920 he married Werna Mitchell. The gun would not encourage a military spirit so much as it would create a horror of war. Leo Whitby Robinson served as an alderman on Woollahra Council until 1941 and remained in Double Bay, moving to 33 William Street in later life, until his death in 1963. 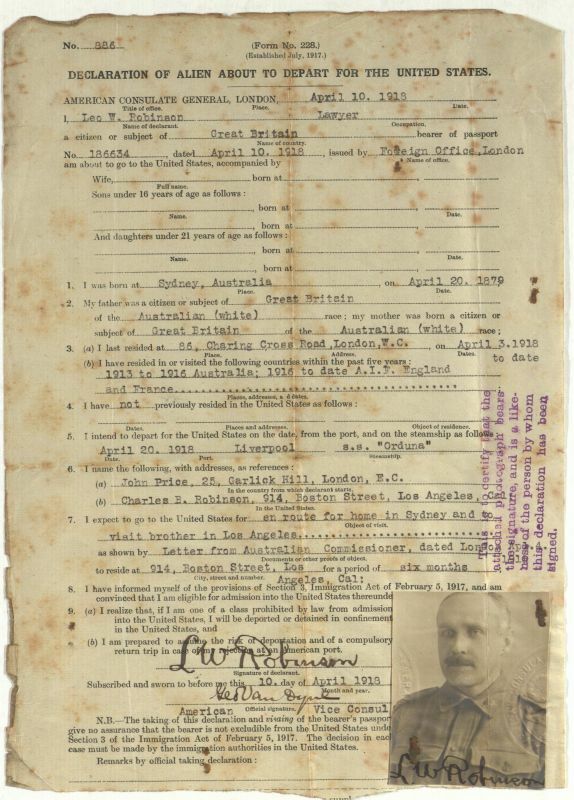 This story of Leo Whitby Robinson has been compiled using resources from the Woollahra Local History collection including the Robinson papers and Woollahra Council archives, the records of the Australian War Memorial and the National Archives of Australia (WWI service records), and Trove newspapers online. The two men with Leo Whitby Robinson who were killed in action on 14 October 1917 were Alfred Cecil Dingle and John Drew. 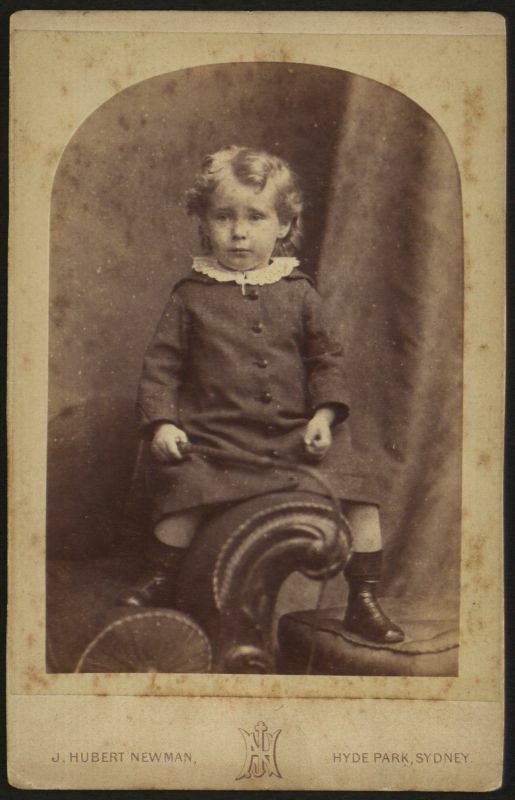 Leo Whitby's sister, Grace Boelke, was one of the first women in Australia to train as a doctor.